Last night, I did a good ol’ pantry clean-out. Storing all of our dry goods and spices in glass jars is something that I have been meaning to do for quite some time — and my, my, does it ever look good. Being able to physically see everything is really helpful, especially in terms of our staple ingredients. Of those staples, we are never without baking soda or turmeric. Baking soda is a cleaner’s dream and we put turmeric in at least one meal a day. Although these ingredients are often used for cleaning and cooking, they offer another benefit outside of the kitchen. If you are looking to revamp your current beauty routine, don’t count out these two unexpected pantry staples. What does baking soda and turmeric have to do with beauty? Whether you are aiming to whiten your teeth or buff your nails, baking soda has your back. This alkaline substance offers antiseptic, antifungal, antibacterial and anti-inflammatory properties. This makes it a great option for targeting acne, improving your complexion and treating body odor. While you may associate turmeric with your favorite curry, this ancient spice offers a wide range of potent health properties. Since turmeric is a natural anti-inflammatory with antioxidant effects, it can heal wounds, reduce signs of aging, soothe burns and so much more. As stated in one review, published in Phytotherapy Research, turmeric is so powerful, that it may treat a number of dermatologic diseases. Of the 18 studies evaluated, ten reported statistically significant improvements in skin disease. These benefits were recorded for both oral use and topical application. Turmeric is commonly applied to Indian brides and grooms before their wedding, allowing them to achieve a radiant, natural glow. This tradition is also a symbol of blessing, supporting the development of a healthy marriage. If you would like to rejuvenate your skin, this face mask is a great way to do so. To make: Combine one tablespoon of baking soda (a natural exfoliant) with one teaspoon organic turmeric (natural skin lightener). Slowly mix in a tablespoon of raw honey (this will provide antibacterial and moisturizing properties). Once combined, apply an even layer on your face using a clean applicator brush. Rinse after 30 minutes (repeat two to three times weekly for one month). Some individuals experience dark areas under their armpits. This darkening of the skin can be caused by a number of variables, including hereditary causes and the use of hair removal creams. Both baking soda and turmeric naturally lighten the skin. The addition of lemon is also recommended (it works as a natural bleaching agent). Lighten armpits with baking soda and turmeric. To make: Simply combine two tablespoons of baking soda with one teaspoon of turmeric. Add three teaspoons of lemon juice, mixing until you form a paste. Apply to your armpits and then wash off ten minutes later. Many people have heard about using baking soda for whiter teeth, but what about turmeric? 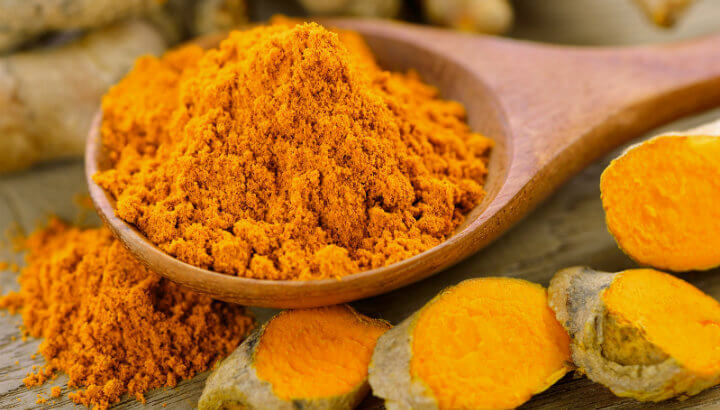 Although you may assume that turmeric will stain your teeth, this natural beauty remedy will actually promote optimal oral health. By reducing inflammation of the gums, without being abrasive or acidic, you can protect your tooth enamel while gaining a brighter, healthier smile. 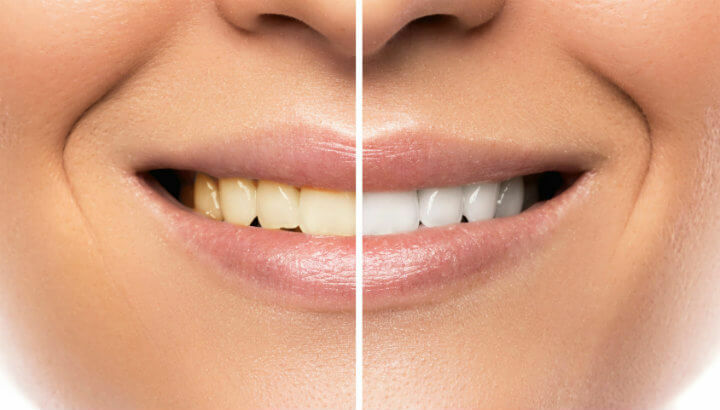 Whiten teeth with turmeric and baking soda. To make: Combine two parts turmeric to one part baking soda and one part coconut oil. One teaspoon of turmeric, a ½ teaspoon of baking soda, and a ½ teaspoon of coconut oil should do the trick. Once a paste has formed, apply a generous amount onto your toothbrush (which will become stained). Brush for two minutes and rinse thoroughly. A turmeric and baking soda paste can help you combat the look of acne scars. Based on its active compound, curcumin, turmeric has been shown to reduce excess production of melanin. In turn, this helps to lighten scars and promotes a more even skin tone. The baking soda naturally removes dead skin and gently exfoliates scar tissue. Reduce acne scars with turmeric and baking soda. To make: Combine equal parts turmeric and baking soda (one teaspoon each should be more than enough to target problematic areas). Add a touch of olive oil to form a paste (this will further moisturize the area). Then add two to three drops of sandalwood essential oil (which is naturally healing). Apply to individual scars as needed. Baking soda has been shown to reduce overactive fungi (which can cause dandruff), while turmeric combats a dry, itchy scalp. By naturally cleansing the scalp and stimulating blood flow, the combination of turmeric and baking soda will promote positive scalp health. Fight dandruff with baking soda and turmeric. To make: Combine three tablespoons of baking soda and three tablespoons of turmeric. To maximize the properties of your scalp mask, add ½ cup of coconut oil and four to five drops of tea tree oil. Massage your scalp and after 15 minutes, rinse with a natural shampoo. The next time you are scrubbing your sink with baking soda or are adding a spoonful of turmeric into your smoothie, think about dramatically altering your approach to beauty. By reducing your reliance on toxic beauty products, you will promote long-term health and protect the planet. It really is a win-win. Try the above five recipes out and revolutionize your beauty routine today! 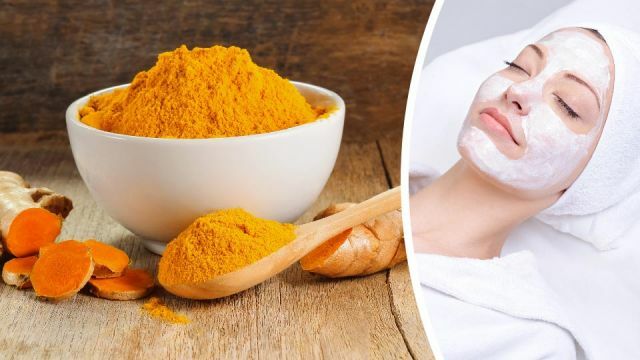 Hey Buddy!, I found this information for you: "5 Ways To Use Turmeric And Baking Soda Together In Your Beauty Routine". 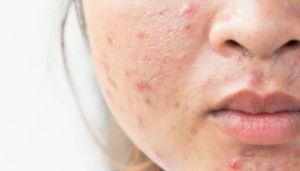 Here is the website link: https://www.thealternativedaily.com/5-ways-to-use-turmeric-and-baking-soda-in-your-beauty-routine/. Thank you.